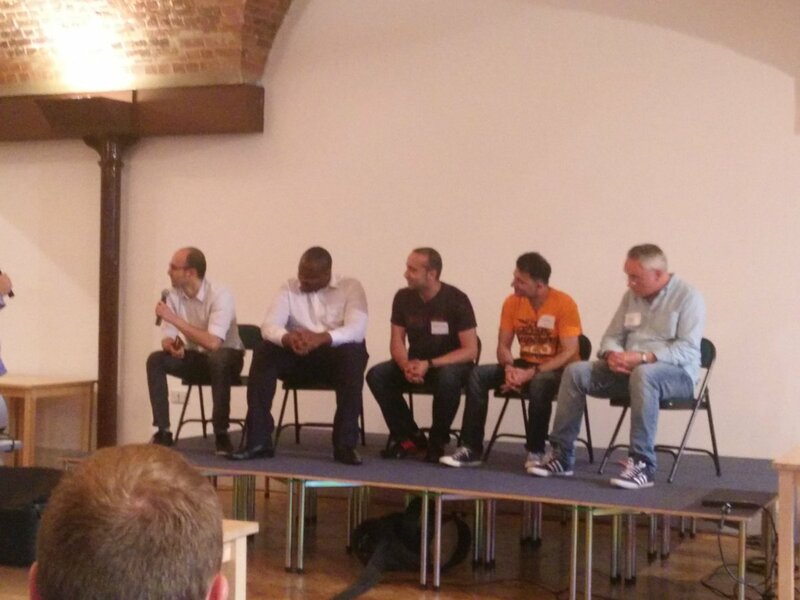 CloudCamp – London – A must attend! So after so many attempts, I was finally able to attend Cloud Camp – London for the first time. It worked out quite nicely as I was at LonVMUG during the day and Cloud Camp’s venue is just a short walk away. It’s organised by Chris Purrington of Cohesive Networks and hosted by Joe Baguley and Simon Wardley, two individuals who need no introduction when it comes to our industry. There are speakers from different organisation, sharing their experiences openly, warts and all. This alone makes the event so special as you get the inside story on the technologies being used and the hard lessons learnt in the process. The event typically follows the format of an introduction, followed by “Lightening Talks” of no more than 5 minutes (speakers are actually timed!) I am sure that gets the speakers think hard about how to condense the information they want to impart and yet keep it light-hearted. I really enjoyed all the presentations and there were quite a few laughs in between. Then there’s the “Unpanel” – a panel of “experts” chosen using a complex algorithm, to answer all the questions Joe Baguley has in mind. Again, keeping it open and fun is the goal there and it’s done masterfully, as I am sure you’ll see for yourself when you attend. There are no limits and the conversation can go anywhere. This time, the focus was on “Serverless Computing“, more in relation to Amazon Lambda but there was an excellent exchange of ideas between all audience members. Last item on the agenda is beer/pizza and of course, networking. I met a quite a few new faces and hopefully will see them and more at the next event. I should mention that this event was sponsored by Cohesive Networks. I hope more sponsors join in as this event is so useful that it should keep going. It would be great if this event stays on the same day as LonVMUG as then one can attend both in one go but I feel that this is one event I wouldn’t mind coming to anyway as being in the evening, it shouldn’t have any conflicts with work. If you are involved with cloud computing in any way, this is an event not to miss so please do attend. You won’t regret it.